Video: Susan Ershler Keynote Speaker and Everest Summiter. Video: Reaching New Heights: Vision and Commitment. Video: Susan Ershler: First Business Interview. Susan Ershler has won worldwide renown for climbing the Seven Summits—the highest mountain on every continent—while leading sales organizations at some of the nation's largest corporations. 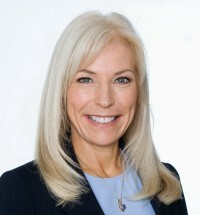 For more than a decade, she has been inspiring professionals and executives at Fortune 500 companies to reach peak performance by striving for their personal and professional best. While her themes have universal appeal, Susan tailors the content of her keynote presentations to meet each organization’s particular needs. In her first acclaimed book, Together on Top of the World; The Remarkable Story of the First Couple to Climb the Fabled Seven Summits, Susan shared her remarkable Everest adventure and the life lessons she learned on the mountain. 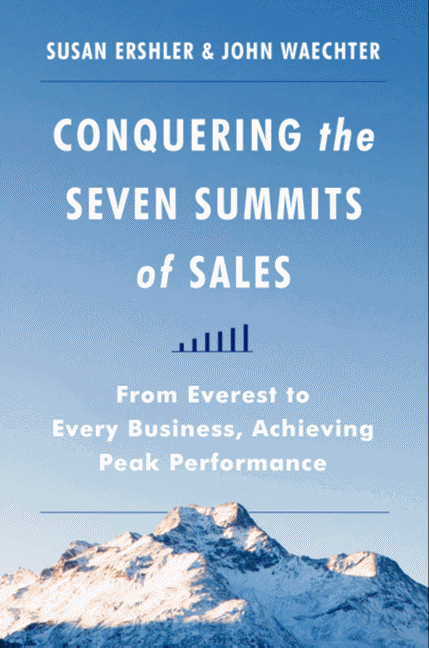 Now, in her latest book, Conquering the Seven Summits of Sales: From Everest to Every Business, Achieving Peak Performance (HarperBusiness), Susan and co-author John Waechter examine the habits of success anyone can master to achieve peak performance in selling, business and leadership, using the same techniques and determination that empowered them to climb the world’s highest mountains. As a history-making mountain climber, business executive and author, Susan Ershler inspires audiences to challenge their perceived limitations and reach new heights of business and personal success. In her popular keynotes, Susan shares her Project ∙ Prepare ∙ Persevere® methodology, which can transform any business organization into a dynamic force for revenue growth. Having risen through the ranks to corporate leadership, Susan keenly appreciates the challenges business professionals experience at every stage in their careers. She “walks the talk,” explaining the Seven Summits principles that everyone must master to reach Peak Performance and illustrating how to apply these techniques to overcome real-world work/life challenges. Whether focusing on leadership, achievement, sales performance or meeting personal goals, Susan inspires her audiences to take the next step in achieving their own vision of success. Ershler has been honored with eleven annual President’s Club sales awards including the exclusive national award, “Regional Sales Manager of the Year.” She climbed to the summit of Mt. Everest on May 16, 2002 with her husband Phil, making them the “first couple to the climb the Seven Summits together.” Additionally, Susan became the 12th American woman to climb Mt. Everest and the fourth American woman to complete the Seven Summits. Ershler graduated Washington State University with a Bachelor of Arts Degree in Business Administration. She now resides in Seattle, Washington. "Sue's presentation was an outstanding story where we share the excitement of her journey to the summit and how this experience is related with our business, specifically in terms of setting goals and teamwork. Sue performed flawlessly and the team was pleased and really motivated by this absolutely great keynote. She is truly an inspiration for all of us!" -Kim Hawley, CEO, Attenex Corp.
"For those of you who have not hired Sue to share her story of climbing the seven summits with husband Phil, you're missing a chance to inspire and motivate sales and client professionals… Sue then joined Phil and shared her saga climbing the seven summits with 300 brokers that we hosted when I was serving as regional CEO for United Healthcare. President George HW Bush even got a signed copy of their book that night. Looking for a different and accomplished speaker, look no further than Sue." "I've had the pleasure of hearing Susan share her wisdom and experience in the secrets to conquering the seven summits and the lessons learned to aid in the personal achievement of peak performance. Now Susan and her co-author have put these ideas into a book that we can all share. I recommend it to anyone who wants a better view on how to instill commitment and success in your personal and business life." -Ritchie Straff, Vice President Strategic Planning, Daikin America, Inc.
-Jim Whittaker, First American to summit Mt. Everest, 1963, and former President and CEO, Recreational Equipment, Inc.
“Susan and John truly know what it takes to succeed in business and life and this book will inspire you to reach new heights. Susan’s ability to connect with everyone she speaks with comes through loud and clear. I am certain you will find renewed strength in your approach to tackling adversity and persevering on your way to achieving your most important goals”. -Sam Reese, CEO, Miller Heiman, Inc.
-Blake W. Nordstrom, CEO, Nordstrom, Inc.
“A fantastic read, that both thrills and teaches. Being able to transform all the experiences and death defying moments, into clear and deep lessons for business, has never been done before, with this clarity and perfection. A must read both for the thrill seeker and the responsible businessman, who needs some insight, when things turn sour and business survival is at stake”.